In 1993, the British Museum held a major Kawanabe Kyosai exhibition, and since then his work has witnessed a re-evaluation. One of the last painters in the Kanõ school, he is now recognized as one of the final ukiyo-e masters. In the realm of shunga, his creative prowess equals earlier Edo-period masters like Hishikawa Moronobu (?-1694), Nishikawa Sukenobu (1671-1750), Suzuki Harunobu (1725?-1770), Isoda Koryusai (1735-1790), Kitagawa Utamaro (1753-1806) and Katsushika Hokusai (1760-1849). 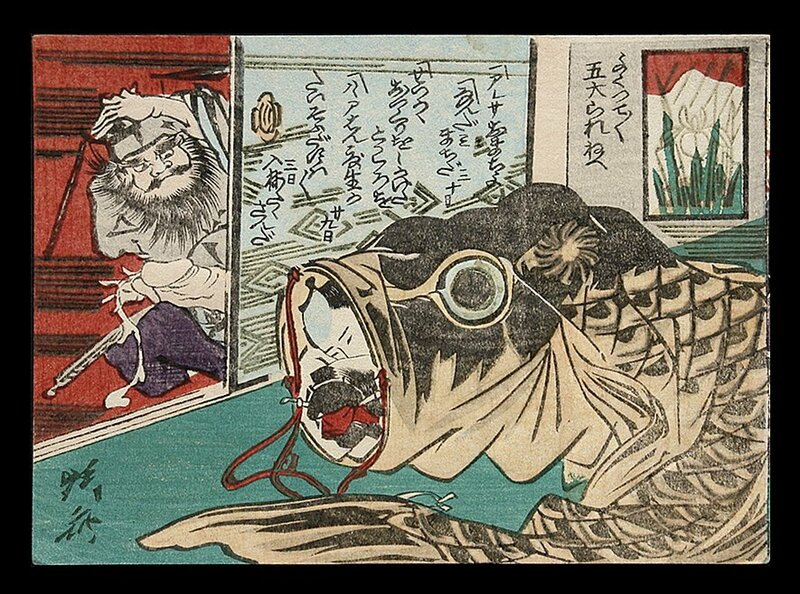 His extraordinary imagination, his penchant for unusual themes and above all his unparalleled comic genius is to be applauded, especially in light of the fact that almost no shunga prints or books from his immediate contemporaries Toyoharu Kunichika (1835-1900) and Tsukioka Yoshitoshi (1839-1892). He is unique in the field of Meiji shunga. It could be generalized that the Meiji era was a time when people became increasingly introspect and when the new government, as well as the common people, were consumed by the calls of ‘civilization and emlightment’ (bunmei kaika). 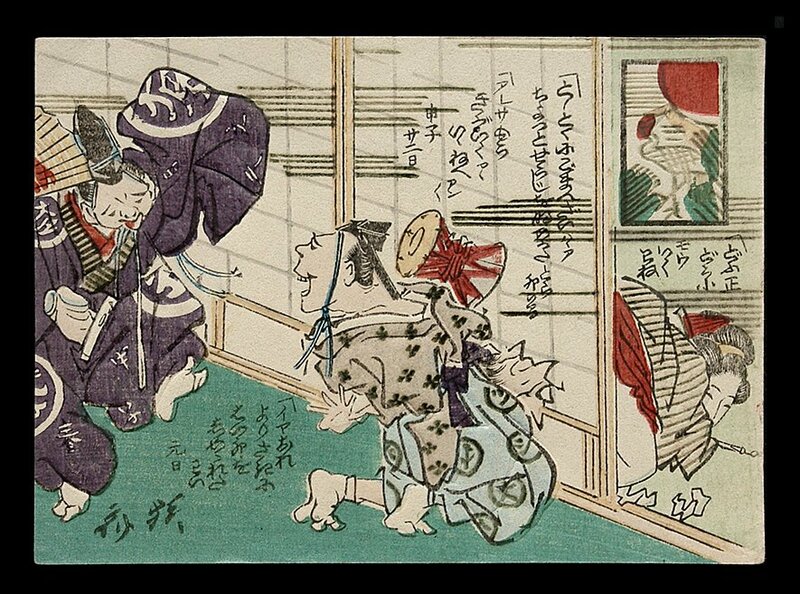 Moreover, on the thirteenth day of the eleventh month of 1872, the Meiji government enacted a new law containing fifty-four articles regarding public morals, including the prohibition of shunga. 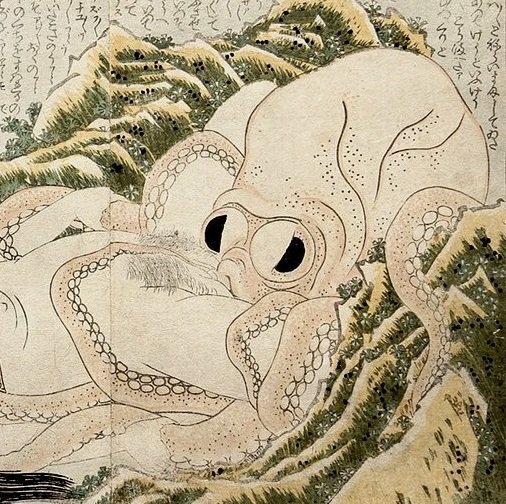 Perhaps together these factors might help explain why there were comparatively few shunga by Meiji ukiyo-e masters, and why in Kyosai’s case his dated shunga prints and books were published in the early Meiji era, that is, in the early 1870s. In 1870, he had been arrested and imprisoned by the Meiji government for three months for a caricature he produced of Meiji officers, so he must have been wary about designing such works again. Beautiful Meiji shunga paintings were created secretly by a new generation of artists, such as Kaburagi Kiyokata (1878-1973), Ikeda Terukata (1883-1921), Mizuno Toshikata (1866-1908) and Uemura Shoen (1875-1949), but their work dates to much later, from 1900 through the 1910s. Kawanabe Kyosai (1831-89) was only 6 years old when he joined the school of the great ukiyo-e master Utagawa Kuniyoshi, along with such fellow pupils as Yoshitoshi, who followed him in 1850. Later Kyosai studied traditional Japanese painting at the Kano school. As benefits this varied apprenticeship, Kyosai would embrace many styles and methods during his artistic career. In his book Kyosai Gadan, he stated that those who could manage only one genre were not really painters. Like his illustrious fellow pupil Yoshitoshi, Kyosai´s life and art spanned the bridge between the Edo and Meiji periods of Japanese history, a time which saw the first influx of foreign influence into the country, and the beginning of the paradigm shift into the modern world. 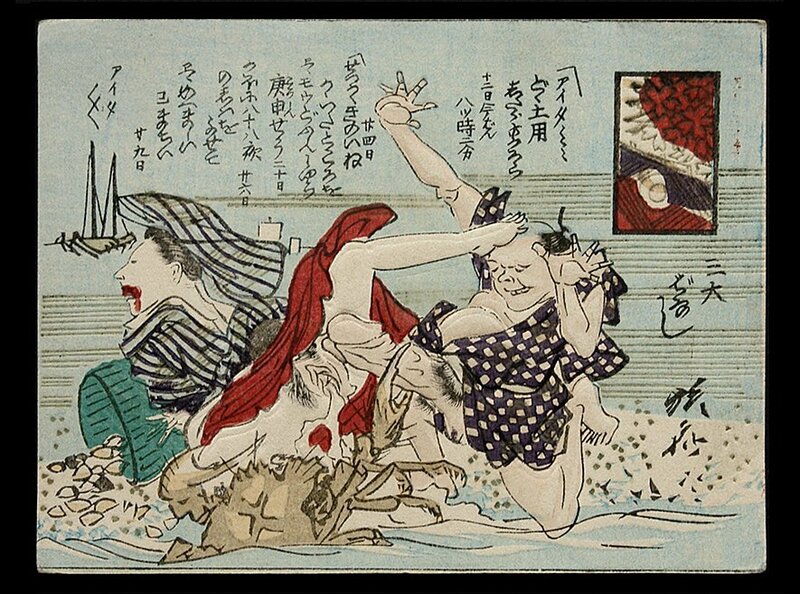 Whereas Yoshitoshi was wary of this change, Kyosai apparently embraced it. Therefore Kyosai can now be regarded as not only one of the last true ukiyo-e masters, but also as one of the first truly modernist painters of Japan. Kyosai was a devout Buddhist, and a few years before his death he received the Buddhism name ´Joku Nyudo´. His sake drinking-habit is legendary and probably contributed to his bizarre imagery. Click here for Part 1 of this two-part series.